My dear friends, I finally got around to giving this blog some closure. It has been on my heart to do so for so much time but I was unable to do so. I was married on June 24 and the realities of married life made it impossible to sustain the posting of the daily Lives of the Saints whom I dearly love. This blog has been a labor of love for me all these years. It became something other than what it began as. At its inception this blog shared Orthodox news from around the world as well as the daily Saint's life. 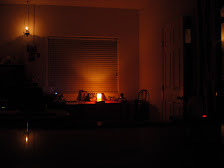 I also used the blog to air out some of my thinking at the beginning on various subjects but especially dear to me was the relevance of the Orthodox Faith to me, to us, to Modern Man whether he, modern man, knew that Orthodoxy is what he needed. I also began to see that the Faith, which to me was so crystal clear and precious was not held by everyone in the same way. I became involved in this "debate" but usually at a distance living vicariously through bloggers of a bygone era when more people blogged rather than facebooked. One of the reasons I began to only post the Saint of the Day was that I did not have the time to post original essays. Owning and operating a small restaurant proved to leave very little leisure time for such projects. Another reason I ceased from such essays was that I realized I was not as smart as I thought I was. The established lines of demarcation would not move through sheer force of reason or goodwill and I realized the issues at stake were spiritual in nature and not rational primarily. For this reason I began to "hide" behind the Saints. I will leave this blog up and continue to maintain it as it was a true labor of love that has many I think useful articles and notes and other such things. As well it proves useful for me to check up on other blogs in the sidebar I still follow and at times I run across another site that I add to the sidebar. I may one day resume posting on this site but who knows? God knows. Thank you to all who ever visited and thank you to all who have come before me and who inspired me to begin this blog. The great defender of the Orthodox Faith against the Iconoclasts, our righteous Father John of Damascus (See Dec. 4), was slandered to the Caliph of Damascus by the Iconoclast Emperor Leo the Isaurian (reigned 717-741). Saint John was accused of sedition and his right hand was cut off. Having asked for the severed hand, Saint John passed the night in great pain, praying for the aid of the most holy Theotokos. Awaking from sleep, he found that his hand had been miraculously restored, with only a red scar about the wrist where it had been severed, as a testimony to the wonderous healing. In thanksgiving, he had a silver hand attached to the icon to commemorate this great miracle. On becoming a monk in the lavra of Saint Sabbas the Sanctified in the Holy Land, John brought the icon with him. There it remained until the thirteenth century, when it was given to Saint Sabbas of Serbia (see Jan. 14), who brought it to Serbia, where it remained for a time. Later, it was miraculously transported by an unguided donkey that carried it to the Serbian Monastery of Hilandar on the Holy Mountain, Athos, where it remains to this day. From the Palestine, godly-minded Sabbas brought unto us thy ven'rable icon, which is known as Of the Three Hands, O all-holy Bride of God. Wherefore, since the monks of Hilandar now possess it as their boast, they send up hymns of praise and thanksgiving, while crying out with fervour: Rejoice, thou who art full of grace. Come, let us worship the famed icon of the Queen of all called: Of the Three Hands, for the fearful marvel which it wrought; and with fervent faith and longing, come, let us cry out: O pure Maiden, keep thy monastery and thy flock from all dangers, tribulations, and adversities, for we cry to thee: Rejoice, thou help and defence of all. Please be sure to scroll down past the Saint or Feast of the day. After the Saint or Feast of the day I post my "Main Posts". These may be anything including original articles, book reviews, adding new blogs to my web page and just about anything new I may wish the reader to read. Please note I do not always have "Main Posts" posted. I tend to leave "Main Posts" up for several days. 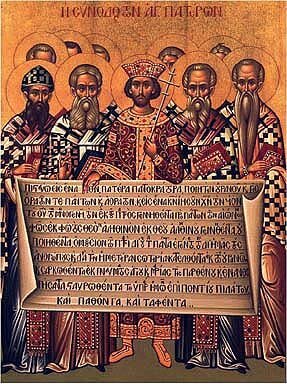 Having examined the history of Georgia and the hagiographical treasures attesting to the faith of the Georgian nation, we become convinced that Heavenly Georgia— the legion of Georgian saints, extolling the Lord in the Heavenly Kingdom with a single voice—is infinitely glorious. It is unknown how many cleansed themselves of their earthly sins in merciless warfare with the enemy of Christ, or how many purified their souls in unheated cells through prayer, fasting, and ascetic labors. 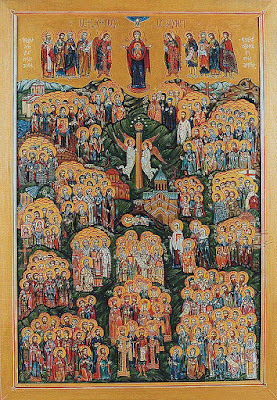 To God alone are known the names of those ascetics, forgotten by history, who by their humble labors tirelessly forged the future of the Georgian Church and people. 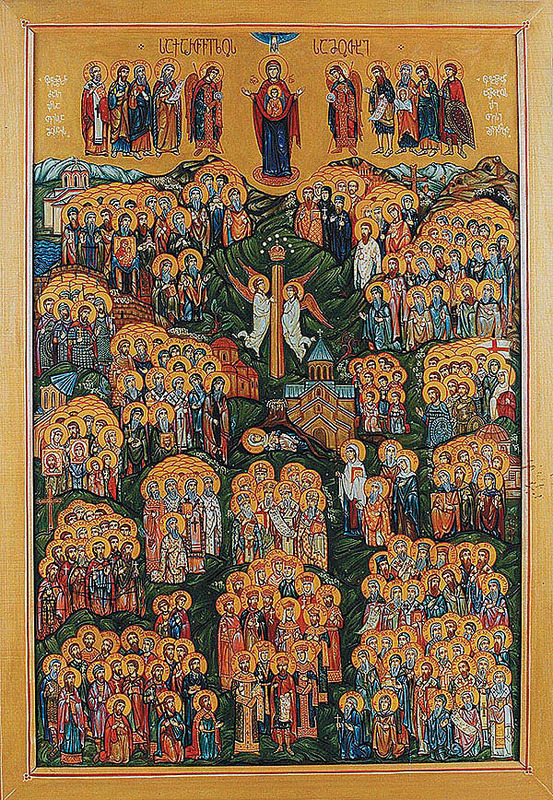 A decree of the Church Council of Ruisi-Urbnisi states: “We will not depart from thee, the Catholic Church which bore us in holiness, nor will we betray thee, our pride—Orthodoxy—to which we have always been faithful, for we have been granted the honor to know thee, the witness of the Truth Itself!” This relationship to Orthodoxy is the cornerstone of the life of every Georgian believer. It is impossible to count the names of all those Christians who have been raised up from the earthly Church in Georgia to the heavens, let alone to describe all the godly deeds they have performed. For this reason December 11 has been set aside for the commemoration not only of the saints whose Lives are known to us but also of the nearly three hundred more whose names, but not stories, have been preserved as well. Most Georgian people bear the name of a saint who is commemorated on this day, and they entreat the saint to intercede before the Lord in their behalf. 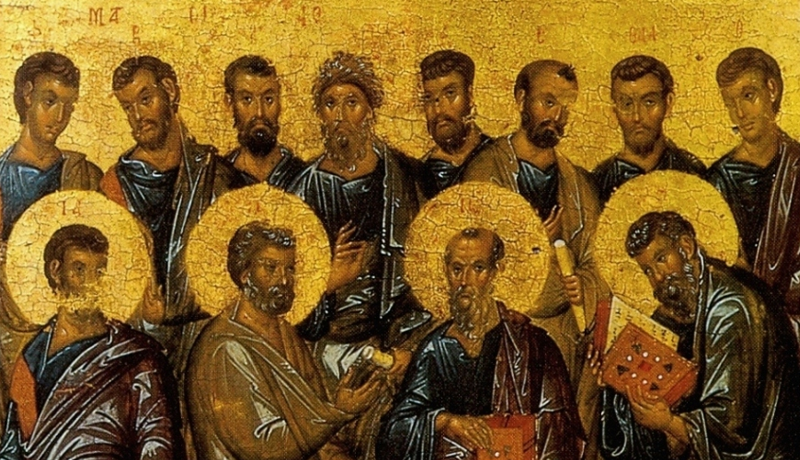 The first Friday of the Apostles’ Fast. 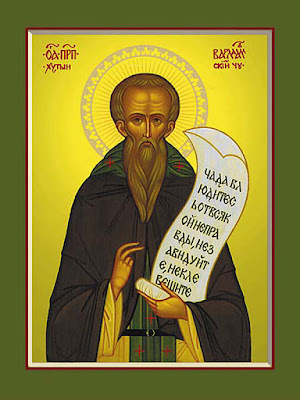 In Slavonic practice, Saint Barlaam is commemorated during the Proskomedia along with the venerable and God-bearing Fathers who shone forth in asceticism (sixth particle). Saint Barlaam is also commemorated on November 6 and February 10. 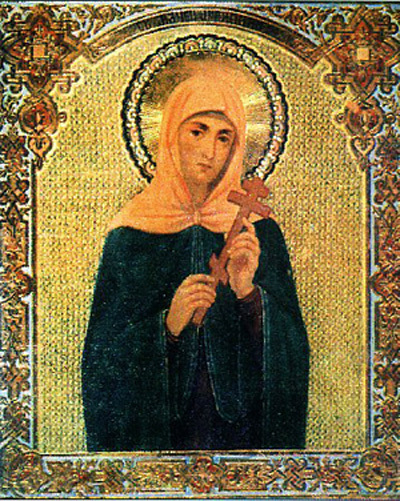 This Martyr was from Rome and lived in virginity, having Christ alone as her Bridegroom. Of her own accord she courageously presented herself to the pagans as a Christian, and was tortured to death, according to some, in the reign of Valerian (253-260). Her holy relics were then taken to Sicily, where they immediately became a source of great miracles.